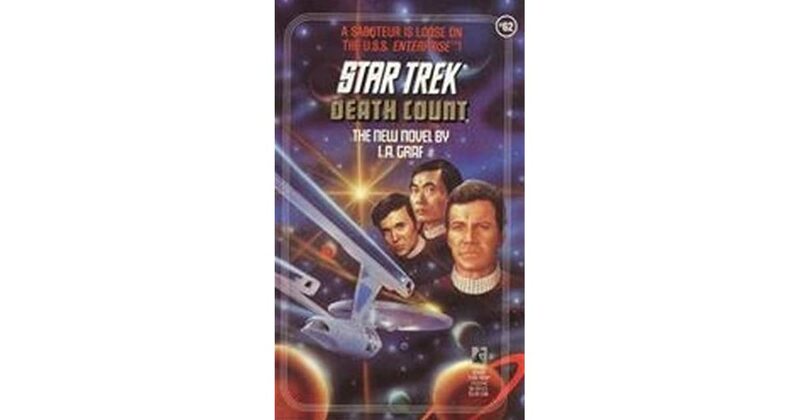 Any Star Trek fan worth his salt will be able to tell you about the episode The Trouble with Tribbles. Tribbles, overgrown living puff balls, are soft, furry, harmless creatures that breed faster than rabbits. One of the things which make this episode so interesting is that it was written by a fan of the original series. That fan’s name is David Gerrold. And he wrote and sold The Trouble with Tribbles to Gene Roddenberry and the rest when he was twenty-three years old. But Howard Weinstein did one better. He wrote a short, fan fiction story for his high school science fiction magazine called “The Pirates of Orion.” Later, in 1973, when Star Trek was made into an animated television series, Weinstein rewrote the story and sold it to the series creators. It became the first episode for the second season of the animated Star Trek series, retaining its title. Why is this important? Howard Weinstein sold the story to the studio when he was nineteen and in college. That’s why it is important; he was the youngest writer for Star Trek ever, a position he may still hold. I cannot say for sure that he does, but it seems reasonable to assume this. At least, of the original fan base, he is the youngest writer they ever had, fan or otherwise. Anyway, his love of Star Trek gave him the desire to become a science fiction writer. “The Pirates of Orion” was his first major success. 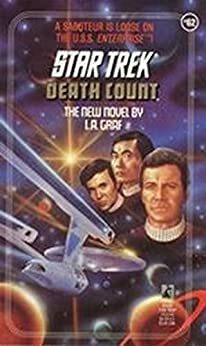 The Covenant of the Crown, a novel set in the Star Trek universe, was his second. In this story, McCoy is hiding in his room, curled up on his bed. Why? It’s his birthday. And he is feeling old. 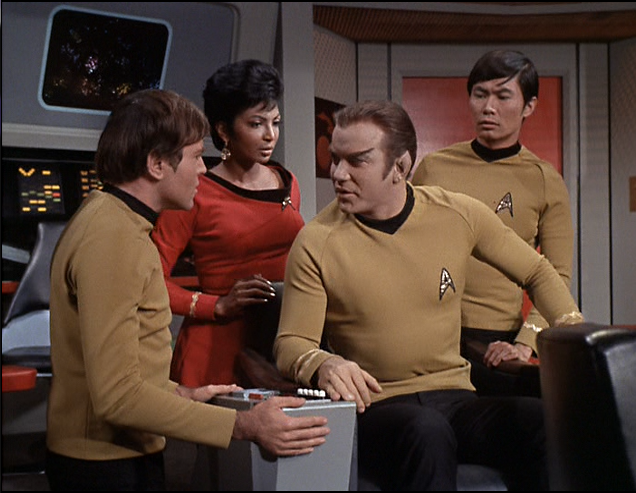 Captain Kirk is trying to talk him out of the room, and he finally convinces McCoy to get up and move by saying he wants the doctor to bait Spock while the Captain plays chess with him. 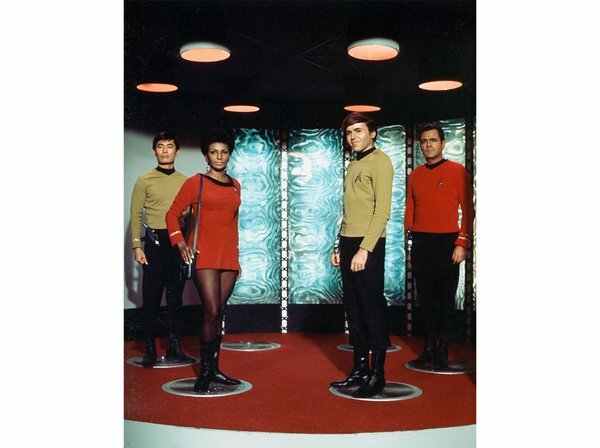 They head down to the rec room on deck seven, Kirk opens the door…. 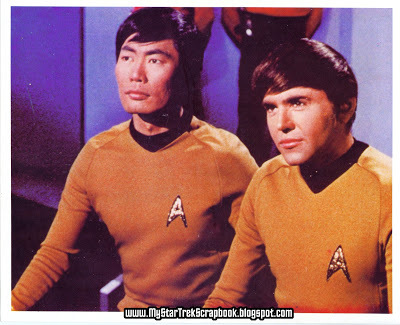 With this mission successfully completed, Kirk stands off to the side with Scotty to watch the festivities. Then he and his Chief Engineer feel the Enterprise kick into a higher gear. They make for the comm. as Spock calls Kirk to the bridge. Star Fleet Command has called the Enterprise to Starbase 22 for a secret mission. Eighteen years ago, the planet Shad was thrust into a civil war due to Klingon meddling. Why? Shad is home to an ore known as Tridenite, a clean, efficient source of energy. The planet supplies twenty other planets with this vital ore. Half those planets are Federation, the other half are neutral. And they are all right next door to the Klingon Empire. If Shad falls to the Klingons, they can take the entire sector because they will have control of the Tridenite. Eighteen years ago, Lieutenant Commander James T. Kirk convinced Shad’s King, Stevvin, to escape Shad to protect his wife and daughter. It was supposed to be an exile of a few months, but it turned into an exile of eighteen years, during which time the queen died. But the king and his daughter are alive. And with the Loyalist forces on the brink of winning the war – and falling apart as they try to divide the spoils before they even win – it seems it is time for the king to go home. And he wants to; he really wants to go home. And Kirk wants to take him and his daughter home, to make up at least a little for leaving them stranded on an exile planet for eighteen years. There is just one problem. The king’s daughter has a diabetic-like condition. 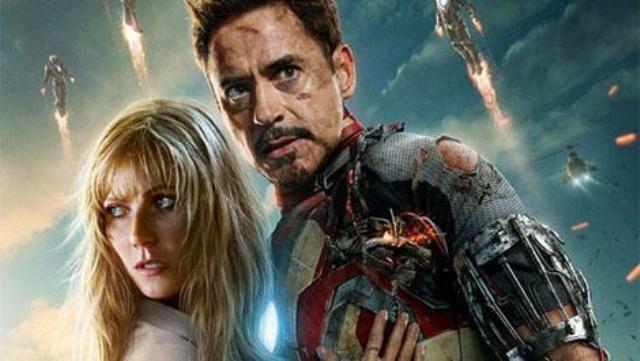 She needs shots of a special serum, or she will die in a matter of hours. She is not physically as strong as she could be as a result. And the king himself, Stevvin, is dying. Bonus points, McCoy and the king’s daughter start doing the Romance Two-Step. And if that did not complicate matters, throw in a few Klingon agents and a traitor in the King’s entourage, and you have a story filled with intrigue, romance, and danger. A little humor is added as Chekov tries to lose ten pounds he gained invisibly. The Covenant of the Crown is a very good Star Trek story. 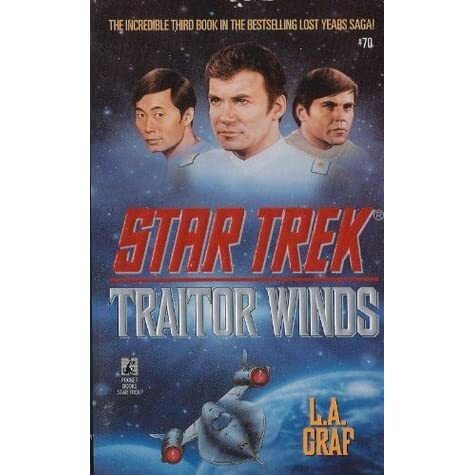 With forewords by Howard Weinstein and David Gerrold, it also offers a window into what Star Trek fandom used to look like. If you can, readers, find yourselves a copy of The Covenant of the Crown. If you do not like it, I am sorry to hear that. But I think it is a fantastic, fun story. It is at least worth one reading. This entry was posted in Book Reviews, TV Shows and tagged Aliens, Book Reviews, books, Captain James T. Kirk, Captain Kirk, Commander Spock, David Gerrold, Dr. McCoy, Ensign Pavel Chekov, Enterprise, Gene Roddenberry, Howard Weinstein, Klingons, Lieutenant Hikaru Sulu, Lieutenant Uhura, Mr. Spock, Nyota Uhura, Pavel Chekov, sci-fi books, sci-fi novels, Star Trek, Star Trek novels, Star Trek The Original Series, Sulu, The Covenant of the Crown, The Pirates of Orion, The Trouble with Tribbles, Tribbles, TV, TV Shows, U.S.S. Enterprise, Vulcans on May 19, 2017 by The Mithril Guardian.